In general, I am not a fan of “difficult games.” I play games for their stories, the imaginative worlds and characters, and occasionally because I enjoy competitive play, but I don’t play games simply to be challenged or frustrated or to prove to somebody that I can beat it. Unless, that game is Bloodborne. Or Dark Souls. Give me any one of From Software’s masterpieces and my inner masochist gleefully takes control. Don’t get me wrong. I love the lore, the design, and the atmosphere of those games more than the fact that they are difficult. But what I enjoy about From’s “difficult” games is that I actually learn something from them. Persistence. Patience. Control. Precision. Or that applying a near limitless Fury at Lady Maria of the Astral Clocktower (the third boss of The Old Hunters) for killing me a dozen times will not make her easier to defeat on the thirteenth try. The Old Hunters is the recently released DLC for Bloodborne, and it expands the base game into three large new zones, provides five new boss challenges, and gives players a large selection of new weapons and clothing items. It is a generous package and is absolutely essential for fans of Bloodborne. But if you picked up Bloodborne out of curiosity and was put off by the game’s difficulty, you will probably not enjoy The Old Hunters. Especially with the memorable and satisfying boss fights, it amps up the challenge considerably. From cruelly suggests a minimum of level 60 for the new content. I think it’s more like 80. The “Souls-borne” series of games are rich in somewhat opaque lore, and no doubt The Old Hunters gives fan-scholars much to dissect. 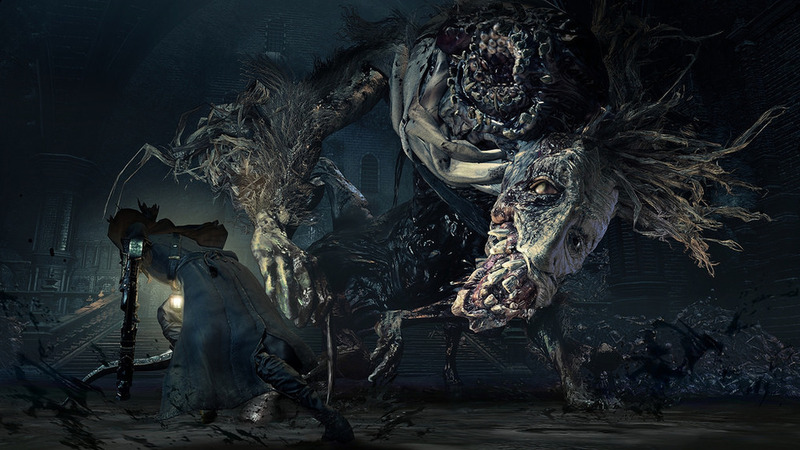 The DLC begins in The Hunter’s Nightmare, a dream version of the Cathedral Ward, with familiar landmarks distorted and askew and bands of formidable hunters roaming the landscape. The second main area, The Research Hall, suggests MC Escher’s disorienting staircases with vertical spaces and interiors reminiscent of The Lecture Hall in the main game. The final big area, the Fishing Hamlet, is like nothing else in Bloodborne and ends with an epic, seaside battle against an ancient foe. 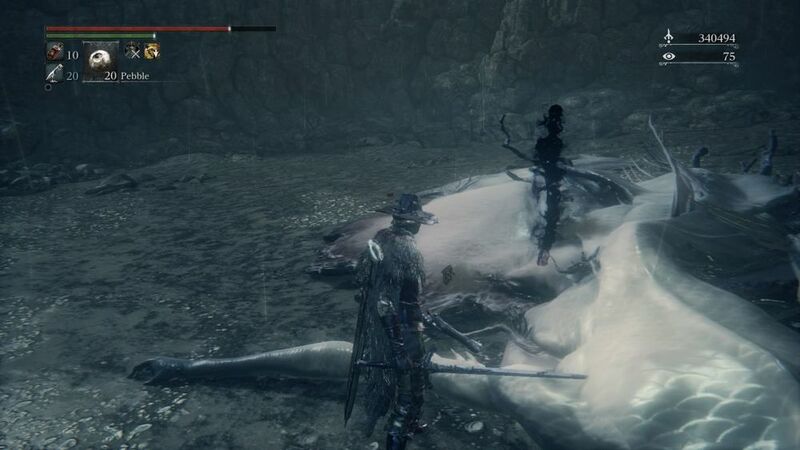 As seems to be the case with most Souls DLC, many the enemies in The Old Hunters are generally more challenging, reskinned, and repurposed versions of those in the main game, with a few exceptions near the end. No doubt some of the enemies you loathed in the main game are back, usually in large numbers and in the most inconvenient places. Bloodborne’s brilliant level design had few saving lamps but a number of shortcuts that could be opened up and the DLC follows suit. The art design in The Old Hunters strikes a perfect balance between richness of detail and visual clutter, something that the base game didn’t always get right. There’s always something interesting to look at but the eye is not overwhelemed. The musical score follows Bloodborne’s lead by being dramatic, eerie, symphonic, and heavily focused on the sound of choral voices. The Old Hunter’s five bosses are probably (with one exception) among the most challenging in any From game, with each boss having multiple stages with new move sets and abilities in each stage. To describe them would be to spoil the fun of discovery. On New Game+ and higher the bosses are truly formidable, but even first play through, high level players will hit a wall or two with many of them. The game front loads many of the ten or so new weapons into the starting area but of course most of them aren’t terribly useful until leveled up. While many of the new weapons are geared towards strength and agility, arcane and bloodtinge builds will get some pretty good gear, too. Just in case you’d forgotten that Bloodborne was one of the best games of the year, The Old Hunters should seal the deal and place it near the top of the list. Generously difficult, filled with hours of new story, and packed with interesting areas to explore and enemies to die to, The Old Hunters is a great addition to the game and should not be missed. The Ringed City is exultantly that but at times -- especially in the longer, gauntlet sections -- the game's unrelenting parade of enemies and ways to die becomes unpleasantly fatiguing and a decidedly chore-like experience. Fans of Dark Souls who have come to love the series will appreciate most everything about The Ringed City and the ways in which it represents both the evolution and end of a very important franchise. Bloodborne has all the flavors and trimmings From Software fans have come to savor.